STOLEN FUTURES: The impact of corruption on children in Africa- New report captures the plight of African children affected by graft. March 2019, Addis Ababa, Ethiopia: Corruption in Africa is robbing children of their right to a meaningful productive life, a new study shows. The study captures the sentiments of 33,000 children from around the continent, who expressed fear that the rising corruption is severely affecting their access to education and health. It cites informal payments in the form of outright bribes, gratitude payments or off-the-books fees, as one of the biggest forms of corruption affecting service provision for children in the education and health sectors. The report titled “STOLEN FUTURES: The impact of corruption on children in Africa” looks at some of the corrupt behaviours of service providers in the health and education sectors that directly impact children and their families including teacher/health worker absenteeism and the practice of charging informal fees for supposedly free services. These are seen as the cause of provision of fewer services for children and increase the propensity for public sector workers to be less productive and provide poor quality services. 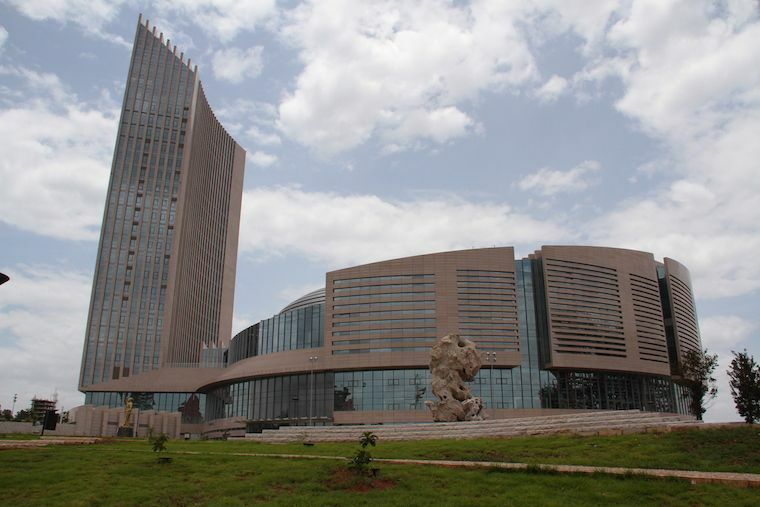 The study, which the first of its kind, was conceptualized in response to the declaration of 2018 as the African Anti-Corruption Year on the theme “Wining the Fight against Corruption: A Sustainable Path to Africa’s Transformation.” The report will be launched on Tuesday, 19th March 2019 at the African Union Headquarters, in Addis Ababa. The study was conducted by a group of child-focused agencies working closely with the African Union including Plan International, UNICEF, Save the Children International, World Vision International, African Child Policy Forum (ACPF), ChildFund International and SOS Children’s Village International in partnership with the African Union Advisory Board on Corruption and the African Committee of Experts on the Rights and Welfare of the Child. The Chairperson of the African Union Advisory Board on Corruption Hon. Begoto Miarom, notes that children bear a disproportionate burden of the discriminatory effects of corruption due to their reliance on public services and reduced capacity to challenge corrupt practices. Echoing similar sentiments, Mr. Stephen Omollo, Regional Leader, World Vision East Africa observed that millions of children and young people in Africa are being denied their right to education, healthcare and decent future due to corruption. The study reports that on average, approximately 24 per cent of teachers were not in school during unannounced visits, while 18 per cent were at school but not teaching scheduled classes. The health sector absence rates are most acute among highly skilled health workers, most notably doctors. Absence rates range from a low of 14 per cent in Tanzania to a high of 46 per cent in Uganda. It is also worth noting that unlike the case of schools, most absences from health facilities are not duly authorized by personnel in charge of the facility. Evidence suggests that health facilities mainly are operated by lower cadre health staff with limited or no supervision. The second pathway examines attempts by the consumers of public services (i.e. patients and students) to access privileged care through paying bribes. A large proportion of Africans pay bribes to access ‘free’ social services or to hasten access to services. In the education sector, bribes are a common way to secure higher grades. Bribery increases inequalities in access to essential services for children and reduces the quality of services offered. The report also highlights the impact of illicit financial flows and grand corruption on children. As the principal source of finance available to any country, government budgets offer the largest scope for investment in children if they are properly managed. Grand corruption typically results in loses of large amounts of money, resources that could otherwise be invested in better infrastructure, systems and services for children. Samuel Norgah, Director of Plan International African Union Liaison Office notes that all forms of corruption reduce the availability of household and public resources to spend on critical services for children. Combating corruption is therefore an important step for increasing the funds available for families and governments to invest in children. Dr Violet Odala, Children and the Law Programme Manager from African Child Policy Forum stresses that governments should take concrete actions and all necessary measures to enhance transparency and accountability so as to combat corruption, wastage of resources and overall inefficiency in public services. 7. Ratify and fully implement the 2003 African Union Convention on Preventing and Combating Corruption. The report will be launched on Tuesday, 19th March 2019 at the African Union Headquarters, in Addis Ababa.